Our Tsim Sha Tsui serviced apartments for rent in Kowloon are located in the heart of the financial district, offering our guests quick and easy access to useful services like food, shopping, entertainment, and transportation just downstairs. 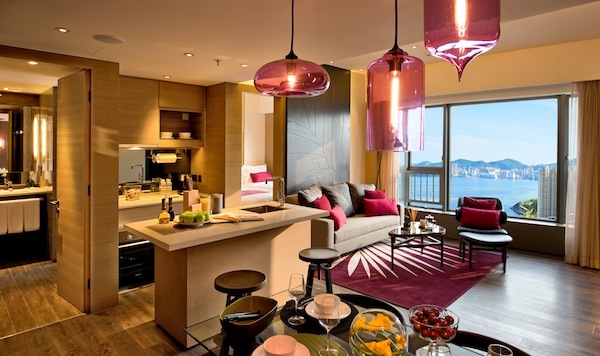 Work, live and take city life in one place with Dash Serviced Suites, Tsim Sha Tsui as a sanctuary! Tsim Sha Tsui is an international commercial and business center, home to the famed Kowloon shopping district, its fabulous restaurants and vibrant nightlife, making our serviced apartments the perfect rental solution for any business traveler. Living in Asia’s world city center with all the necessary access and transportation you need! The Airport Express, MTR train, the ferry terminal for China, the bus lines, and the thousands of taxis operating there is only a minute’s walk away to reach Hong Kong and any other parts of the world. Life should not just concern work. Balancing and recharging yourself at the same place where you stay. Not only is Tsim Sha Tsui filled with thousands of world-class restaurants, lively bars and nightclubs, Knutsford Terrace nearby, Michelin Star Restaurant, and Kowloon’s most famous financial district, offering a mix of art, music, culture, and shopping. After roaming around to shop at various international designer outlet stores, visit the Hong Kong Space Museum in the afternoon, stroll along the Avenue of Stars and admire Victoria Harbor, or wander through Kowloon Park enjoying the green areas around. There are various nearby attractions within reach from Tsim Sha Tsui serviced apartment for rent in Kowloon. To name a few of them to include International Trade Center, Harbor City, Ocean Center, Knutsford Terrace, Kowloon Park, and K11. Transportation to these places is very quick and easy with the availability of multiple resources such as Kowloon Airport Express, Tsim Sha Tsui MTR station, and China Ferry Terminal to name a few. The Dash Queen is our suite with spacious rooms and the best facilities. Approximately 200 to 400 square feet of space and are equipped with convertible smart beds, large wardrobes, and spacious ceilings. Each service suite is equipped with a double queen size bed and customized linens designed by Australian experts, Cottex. With 39-inch plasma TV and integrated with Now TV and Apple TV. Walk-in showers with German toiletries designed by an expert, Pure Herbs, a fully equipped kitchen with a fridge and stove, free Wi-Fi and large windows with uninterrupted views of the Kowloon Bowling Club. Tsim Sha Tsui serviced apartment for rent in Kowloon has a special ‘Dash Standard’ suite, which is our most convenient and affordable set having 32-inch plasma televisions and equipped with Now TV and Apple TV. Each suite is fitted with linens and customized beddings by Australian experts from Cottex, with bath products having walk-in showers by the experts, Pure Herbs, and a fully equipped kitchen with stove and refrigerator, free Wi-Fi, both single bed and queen sized bed completely set up for your convenience.